This Friday night, Sept. 23, there are at least six shows I want to attend. It wouldn’t be surprising if some touring band squeezes in a last-minute basement show. There are other bars and venues, too — Ben Folds is playing the Calvin, for one — and maybe a festival nearby. Although I’m plugged into different scenes, it can be hard to keep track of them all. September 23 is a good reminder of all that is happening in Western Mass right now. Friday’s shows represent a vast and diverse scene with a lot going on. It’s a great night to get out and see a show. And all of them are happening in public places that are easy to find. Maybe you’ll make it to more than one, or explore a new strain of a big scene. Eternal Slumber Party, the radical booking collective, is hosting a sweet show at The Flywheel in Easthampton. The New York poppy art rock act Daphne is playing, along with the Valley/CT space punks called Space Camp, local act Manic Pixie Dream Girl, and a reading by Caroline Rayner as the icing on the cake. It’s all-ages, with doors at 7:30 (bring $5-7 for the touring bands). There’s also a show at The Brickhouse in Turners Falls. 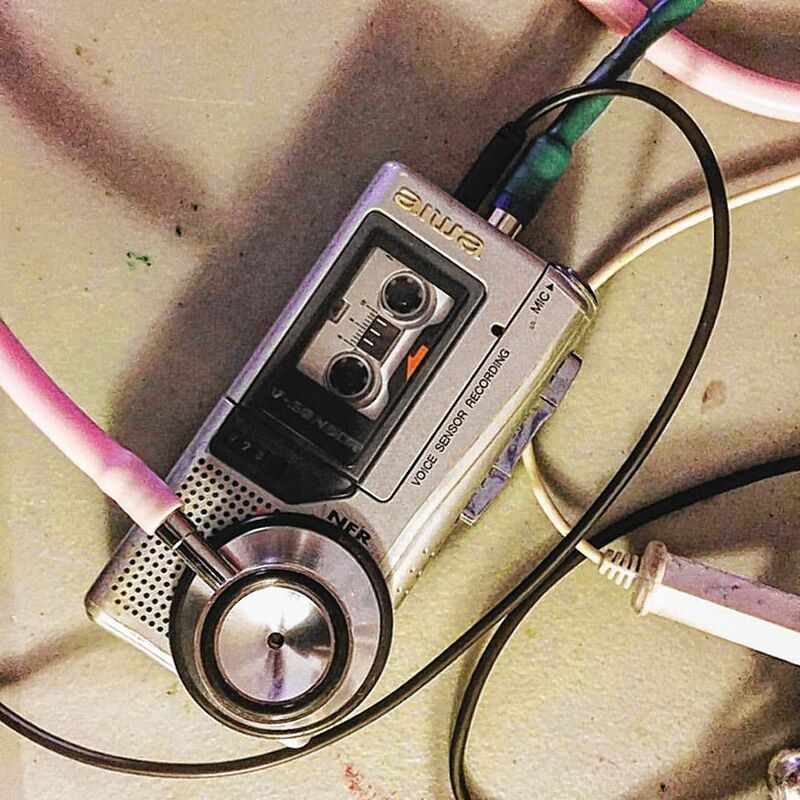 Maine noise musician Crank Sturgeon is coming to town with his act full of voice clips and a gamut of field recordings recorded through tape machines that create sonic collages. He will play with Paul Flaherty, a regional experimental free-jazz sax legend, who has made approximately 50 albums dating back to ’78. At the VFW in Amherst, Boston fuzz rockers Black Peach are visiting to play with the Hampshire College formed “post-spliff-glitter-dream-whale-core” band Pronoia and the local alt-indie act Where’s Walden? It’s all-ages and 21+, starting at 8 p.m.
Not so far away at Amherst College, the Winnipeg-based spacey dream poppers Living Hour are coming to play with local favorites Calico Blue and Spirit Ghost. Meanwhile, a seven band epic will rotate between the upstairs Arts Block and the downstairs Wheelhouse in Greenfield. Boston-based Kid Mountain will bring delicately composed groovy psych pop to town, along with Boston/ Hadley based Midriffs — who bring jams that bridge psych and punk — and Thee Arcadians, Carinae, Bucket, Sunshine Brothers Inc., and The Bonds. The show is 16+ and starts at 7 p.m. because there are seven bands. $10/$7 with photo ID. And a house show in Northampton titled “evening” will feature music by Burlington, VT’s Erin CB, the haunting and dreamlike songwriting of Northampton’s Lady Jane, New York City’s Shlomo, and new songs by Ellerie Ballard from New Mom. When I first started writing this column, I initially thought this was too many shows for one night. But as I zoomed out and asked others, I began to think otherwise. For the most part, the shows happening on Friday are sonically and geographically diverse. And this type of scheduling is pretty common around here. It isn’t unusual to have four amazing shows on, say, a Thursday, then none on the ensuing Friday. That said, the Western Mass scene continues to become more organized, as infrastructure like the DIY Calendar and the recently-launched Pioneer Valley Underground Blog — both of which are great places to find out about shows and goings-on — will continue not only to bring people together and to amplify the music, but to close gaps in different sects of the scene.